As an artist, there are so many ways you can make money from your art. Obviously, you can make an original piece of art and sell it, but there are lots more options too. Some of them have the benefit that you can create something once and potentially earn from it several times without having to do any more work. We will look at one of those options today and I'll show you how you can create and sell digital files of your work for your customers to download and print themselves. 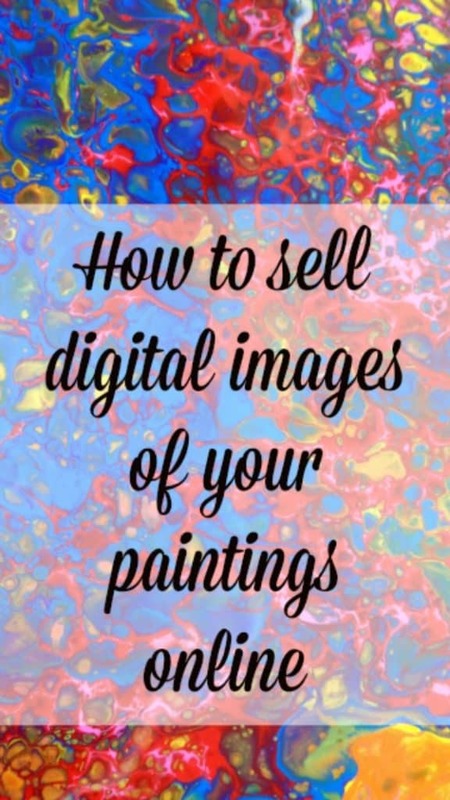 With this tutorial, I will show you how you can take a photo of your artwork, format it correctly for use online and for printing, and then load it into an online store to sell to your customers. Your customers can buy the file, download it and print it at home, or take it to a local printing facility. Then they can frame and hang your art in their homes and you got paid for that print without having to actually print it and send it yourself. It can be a nice sideline for your art income. Check this table for the pixel of common photo sizes on PicMonkey. You will also need to crop your photo for the best result so most likely will need a camera with a minimum of 10-12 MP to get a good result. More is better. 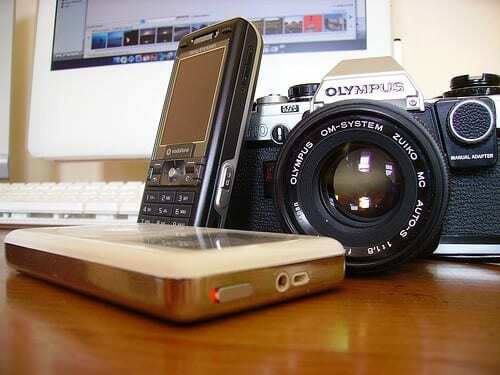 Many cell phone cameras are in the range 3.0MP- 5.0MP and up. True, some expensive models may be 13-16.0 MP and if this is true for yours and it takes a really clear photo - go for it! But for the best results, you can't beat a good digital SLR camera, tripod and lens. See the finished example in my Etsy store here. 1 - Take several images of your painting in the highest resolution possible for your camera. It is recommended to use a tripod to keep the camera perfectly steady. It's also best to use natural light instead of a flash so take your painting outside. The background isn't important because we will crop that out later, but try to make your painting fill most of the frame. Wet paintings often take more saturated and brighter photos than dry paintings, but watch out from the glare from the shiny surface. 2 - Review your images on a laptop or computer monitor to pick the best one. You really can't get away with using your phone because the screen isn't large enough to see your painting in detail. Enlarge it at least to the size you expect it to be printed so you can check for any flaws. 3 - Import your chosen photo into your photo editing software. Decide first on the size of image you want to offer. You might choose a straightforward 8 x 10 inch image which would fit perfectly into the standard size of photo frame, or decide on Letter at 8.5 by 11 inches to take up a full sheet of paper, but would be cropped to fit in a frame. Both would also work for the European and International audiences who use A4 as their standard paper size. 5 - You may wish to add a discreet digital watermark or signature to your image so that it can be identified as yours. Consider which way up the image might be hung and add it accordingly. 6 - Save your file as a JPG at the highest resolution for clear results and give it a sensible file name your customer will understand i.e. Blue and White Acrylic Pour painting by Deby 8x10 inches. 7 - Then - and very important - create a second image in the lowest resolution and put a water mark or signature right across the middle and save it. You will see why later. My online store is with Etsy so that is what I will cover in the video, but most online stores work in a similar way for you to upload and sell digital files. 1 - Start a new listing, give it a name. Add in your basic details about the listing such as the size of the image in inches and pixels. Add any description for colors, design elements or features that you want to point out to your customer or that you think they might be searching for. Add it to the right section of your store as needed. IMPORTANT - make it very clear in your listing description that the buyer is receiving a digital file for them to print themselves and that they won't be receiving a physical print of the image in the mail. 2 - Load up your image as a preview of the file they will be downloading. Don't use the full res image, use the smaller lower res image that has your watermark across the center. Otherwise, if you load up the full image here, people will be able to just right click and save it and not have to pay to get the file! 3 - Load up the full res image as the downloadable file they will receive when they make the purchase. 4 - Preview and check your listing. When you are happy, publish it and your listing is now live. When a buyer decides to buy your digital file, Etsy takes care of everything. Payment is collected, the file is delivered to the buyer and you get a notification of the sale. You don't have to do anything at all. This is a great way to add a little extra income as an artist, without doing any extra work. Set it up once, and sell it (hopefully) multiple times. I hope that gives you some ideas about how you can create digital files from your art for your fans and customers to buy online and print themselves. In the next article, I will look at how you can get a company to print the images for you, frame them if needed, and send them directly to your customer. Everything is done automatically and you don't need to do a thing! No work, just pay! Debby, this was a fantastic article. You now have a converted follower, lol. The way you organize and present your material is very impressive!